Following on from the four-volume edition of the automatic script and other occult materials that were generated by W. B. Yeats and his wife George, née Hyde Lees, and the scholarly editions of both versions of Yeats’s philosophical book A Vision, a loose research network investigates aspects of the Yeatses’ collaborative esoteric work. A Vision, the book Yeats sometimes felt was his most important work, was first published in 1925, then rewritten in the last decade of the poet’s life and published again in 1937. Both strange and difficult texts illuminate many of Yeats’s most famous and most powerful poems and plays. The ‘system’ outlined in both versions of the book is also unusually collaborative: it had its genesis in mediumistic experiments in automatic writing, which Yeats undertook with his wife George Hyde Lees beginning in late 1917. The automatic script and other genetic materials (Yeats’s “Vision” Papers, Macmillan, 1991 and 2001) have now been joined by editions of both versions of A Vision in two volumes of the Collected Works of W. B. Yeats (Scribner, 2008 and 2015). I am co-editor of both editions of A Vision with Professor Catherine Paul of Clemson University, having also served as co-editor of two of the four volumes of Yeats’s “Vision” Papers. The published books have been useful in making an important text more accessible to a range of scholars. In addition to feminist readings of their occult methods themselves, areas of study impacted by these published materials include the Yeatses’ relationships with Neoplatonism, Indian philosophy, Theosophy, spiritualism, Asian art, Idealist philosophy, anthropology, Italian philosophical and political thought, and modern theatre, in addition to world literature. Since 2015, panels and plenary addresses at conferences and symposia hosted by the International Yeats Society in Limerick, Barcelona, New York, Kyoto, and Paris (forthcoming) have focused on such topics. In 2019, the conference on Yeats and India co-hosted by UL and Nawaharlal Nehru University in New Delhi, India, featured a plenary address and several panels devoted to the Yeatses’ occultism. A volume of essays documenting the research presented at this conference is planned. Other related outputs/outcomes: Articles and conference papers derived from the primary research; a planned collection of essays on Yeats and India; an MA thesis and two PhD dissertations by students who are helping on the project. Phase 2: A study of the relative roles of church and state in the social protection of migrants. This research locates the Irish case study in the wider field of research on Transnational Social Protection globally. As origin-state diaspora engagement policies proliferate, the project is investigating the intersections between church and state in protecting non-resident citizens and positioning the Irish case study in relation to those of Italy, Mexico and The Philippines. This project will investigate the gendered aspects of these initiatives. Phase 1: This project investigated the role of the Catholic Church in the social protection of migrants (emigrants from Ireland and immigrants to Ireland) from the mid-20th century to the present. 2019-2021: Writing up research monograph. IdEx University of Bordeaux Initiative of Excellence, Visiting Scholar Award at Centre Émile Durkheim. Sciences Po Bordeaux, Sept-Dec 2019. Visiting Scholar, Department of Sociology, Wellesley College and at the Transnational Studies Initiative (TSI) at Harvard University, Fall 2018. Special edited edition of Irish Journal of Sociology – developing transnational methodological and substantive insights from project. The aims of the network, established in 2016, are to attract interested readers and scholars (established, early-career and postgraduates) working across disciplines on turn-of-the twentieth century Irish women’s writing (in its broadest terms), and between nations and continents. As a digital forum, (the network’s website with its regularly updated blog page, its Facebook page and Twitter account), the aim is to facilitate knowledge exchange and sharing of newly recovered material and new approaches. Bibliography and archive pages are under development where useful archival sources and digital links will be listed and regularly updated. The network encourages collaborations that are international and multidisciplinary, and invites contributions to its blog page where new research or recently launched projects, conferences, etc. can be highlighted. Interested parties can join through its membership link and can include details on their current research, publications as well as contact details for networking. ‘Hannah Lynch’s Irish Girl Rebels: ‘A Girl Revolutionist’ and ‘Marjory Maurice’ (Irish Women Writers: Texts and Contexts Series, EER, 2020). This series offers short critical introductions to key Irish women writers written by expert scholars. Combining major figures such as Maria Edgeworth, Augusta Gregory and Elizabeth Bowen with lesser-known figures, the series focuses on the long 19th century and the first half of the 20th, and sets out to offer comprehensive accounts of significant individual careers by the foremost critics in the field. Scholarly yet accessible, these studies marry original scholarship and an overview of the often scattered extant critical approaches to an author with considerations of key texts and contexts, biographical outlines and up-to-date bibliographies. 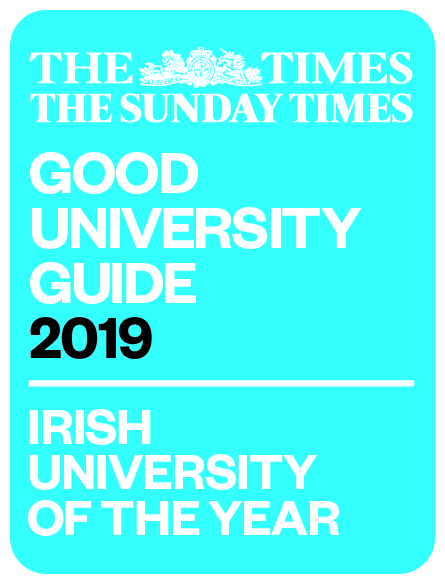 Readership -- undergraduates studying Irish literature and women’s writing, postgraduates, teachers of Irish writing at school and university level. This series specifically brings to the fore forgotten or neglected Irish women novelists, poets, dramatists, historians etc who published at during the long nineteenth century and early to mid-twentieth century, and whose writing: is now out of print; unavailable via various digital platforms (Project Gutenburg, Internet Archive, Haithitrust.com etc); scattered in magazines, newspapers or in essay collections that are now out of print; was never published - the case of many women playwrights whose plays were performed but not published. The primary aim is to make selected forgotten/lost texts available to interested readers, undergraduate and postgraduate students and researchers. Selections will be made by leading scholars in the field who are working to recover Irish women writers and their oeuvre of this period. Our focus is on making expertly-edited, well-produced, accessible and affordable texts available for teaching and research purposes. Dr Sorcha de Brún’s research in gender builds on her seminal work on masculinities in Irish language prose writing. With a background in political theory, Sorcha’s current research is studying the intersectionality of masculinities and class in Irish language prose, using political philosophy as a primary tool of analysis. This project aims to critically examine the experiences of transgender, or trans, youth in post-primary school settings in Ireland. It is being conducted in collaboration with Transgender Equality Network Ireland (TENI) with the aim of furthering trans youth inclusion and equality in schooling. Data collection methods include arts-based workshops, interviews and participant-observation. The data gathered will be analysed using critical, queer and trans theory. A planned output of the project is a toolkit that will provide practice support for educators and schools to foster trans-affirmative school environments. The aim of this network is to foster critical discussions and research about intersections of the cultural, social and medical dimensions of women and ageing. Our researchers engage with discourses on ageing in their various cultural manifestations through the ages but also across different cultures, genres and media. This project investigated the role of the Catholic Church in the social protection of migrants (emigrants from Ireland and immigrants to Ireland) from the mid-20th century to the present. The project has since developed to a wider project addressing the relative roles of church and state in the social protection of migrants. This research locates the Irish case study in the wider field of research on Transnational Social Protection globally. As origin-state diaspora engagement policies proliferate, the project is investigating the intersections between church and state in protecting non-resident citizens.